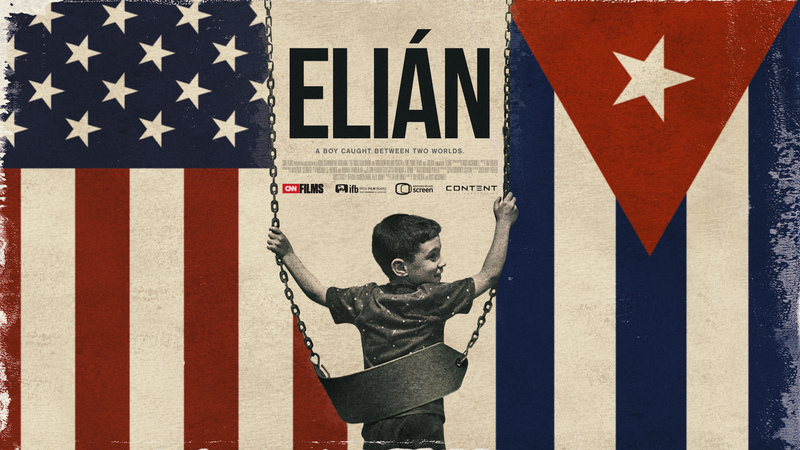 Los Angeles, CA, February 06, 2017 – Content Media Corporation and CNN Films have announced their acquisitions of content rights for the gripping new documentary, ELIÁN, co-directed by Tim Golden and Ross McDonnell, and executive produced by Academy Award®-winner Alex Gibney. CNN Films has acquired television broadcast and CNN-branded authenticated television exhibition rights from Fine Point Films for ELIÁN in the U.S. and Canada. Content Media Corporation has acquired international sales rights to the film. Content’s president of film, Jamie Carmichael and executive vice president for sales and distribution, Jonathan Ford, will introduce ELIÁN to distributors at the European Film Market (EFM) in Berlin next week. ELIÁN is the remarkable story of Elián Gonzalez, a five-year-old Cuban boy plucked from the Florida Straits, and how the fight for his future changed the course of U.S.-Cuba relations. Featuring powerful personal testimony, candid interviews, and an extraordinary news archive, this riveting documentary recounts Elián’s remarkable rescue on Thanksgiving Day in November 1999, after his mother and 10 others fleeing Cuba perished at sea. The custody battle between the boy’s Cuban father and his Miami-based relatives, and the momentous political fight that came to surround it, changed the course of history. Trevor Birney (“Bobby Sands: 66 Days”) produced the film through his Fine Point Films banner. Amy Entelis, executive vice president for talent and content development for CNN Worldwide is an executive producer for ELIÁN. Courtney Sexton, vice president for CNN Films, is supervising producer. “Tim’s and Ross’ thoughtful film will receive broad international exhibition for audiences around the world through this partnership with Content Media Corporation,” said Entelis. Offering a never-before-seen intimate portrait of Elián today, the film is a story of family and the challenges of reconciliation. The wounds of this once-close family reflect the wider divisions of the Cuban people, and the complicated relations between Cuba and the United States. The film also explores the possibility that there might finally be peace for the family, and the two nations, some 17 years after these events. The deal between CNN Films and Fine Point Films was negotiated by Stacey Wolf, vice president for business affairs for CNN, on behalf of CNN Films. The film is currently in post-production and slated for theatrical release later this year. It is financed by CNN Films, Northern Ireland Screen, Irish Film Board, and BBC Storyville. Content Media Corporation is a global entertainment media company based in London with offices in Los Angeles, New York and Toronto, which owns and distributes a significant library of film, television and digital assets. Content Media Corporation’s catalogue contains in excess of 275 theatrical feature titles plus library rights to more than 5,400 hours of TV programming incorporating major drama series, non-fiction entertainment, special event programming, kids’ series, TV movies and mini-series. The company also owns significant stakes in Collins Avenue, an LA based entertainment TV production company, Spirit digital media, a digital production company, and film and television production companies Jigsaw Productions, Campfire and Aito Media Group.